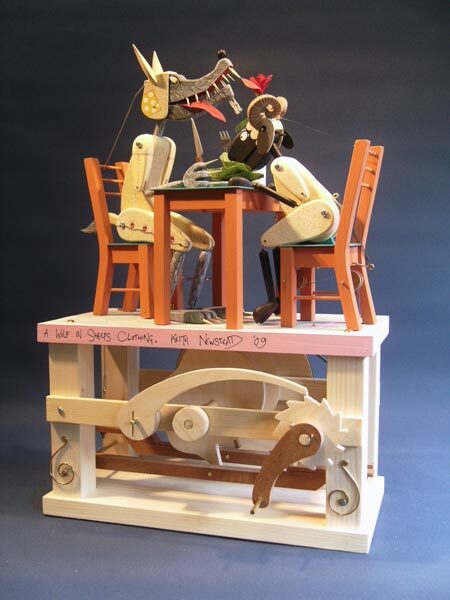 This brilliant piece by Keith Newstead is set around a fairy tale dining table. 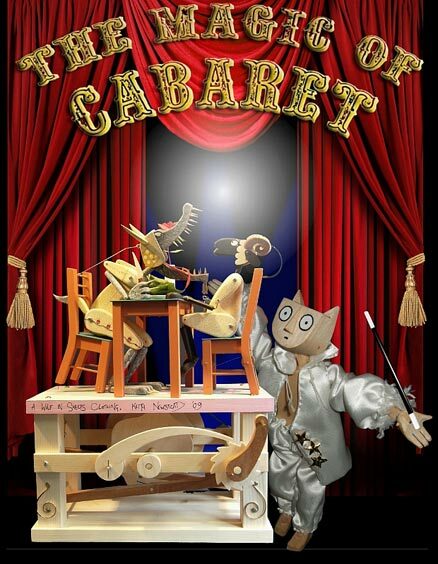 This new edition (of only three pieces) will make a fantastic addition to any automata collection. 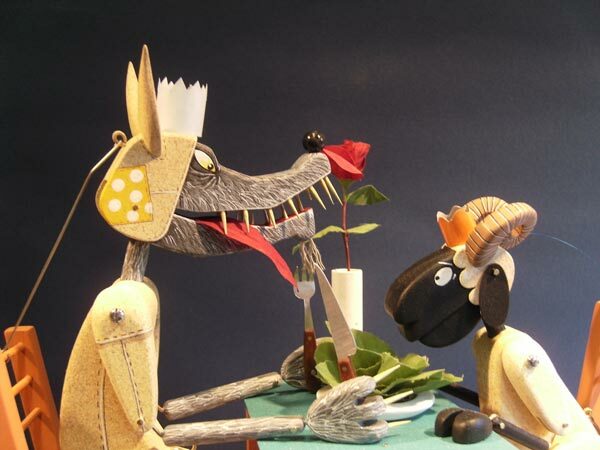 A little sheep who is about to enjoy his lunch of lamb’s lettuce (probably with a baa-b-q sauce), the thinly disguised wolf has joined him at the table, and gnashes and lunges forward at every attempted mouthful. The animals have optional party hats for Christmas. Be quick!! These won’t last. One of Keith’s most recent projects has been the creation of three wonderful mechanical dogs for the play ‘Found in the Ground’ by Howard Barker. It was performed at the Riverside Theatre in London earlier this year.